TREKKING TO MANIMAHESH LAKE - THE ABODE OF LORD SHIVA FROM OTHER DIRECTION THIS YEAR - 2017 APART FROM THE REGULAR ROUTE OF HARSAR - DHANCHO - GAURI KUND AND MANIMAHESH LAKE. Shri Manimahesh Kailash Yatra 2017 will be organised By Himachal Pradesh Goverment . It is organised every Year from Krishnashtmi to Radha Ashtmi. This year also Shri Mani Mahesh Yatra 2017 will be organised During this Period that is from 14th August 2017 to 29th August 2017. 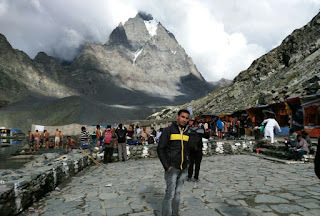 Manimahesh Lake (also known as Dal Lake, Manimahesh) is at a high altitude lake (elevation 4,080 meters (13,390 ft)) situated close to the Manimahesh Kailash Peak in the Pir Panjal Range of the Himalayas, in the Bharmour subdivision of Chamba district of Himachal Pradesh. The religious significance of this lake is next to that of the Lake Manasarovar in Tibet. 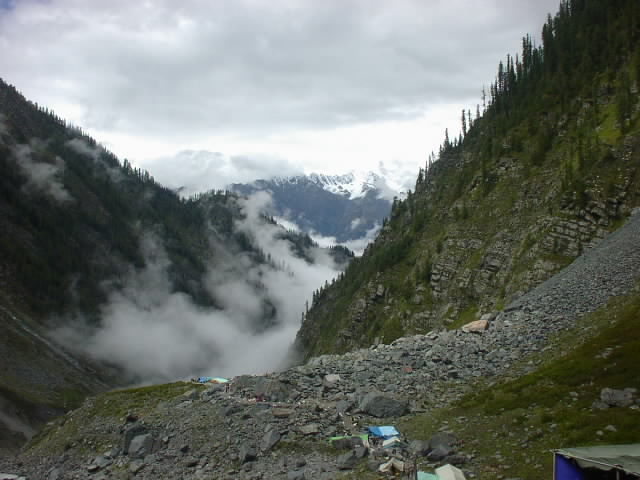 BARHMOUR AREA WHICH IS KNOWN AS THE LAND OF SHIVA - THERE ARE THREE MAIN ROUTES FOR REACHING MANIMAHESH LAKE AND SEE THE ABODE OF LORD SHIVA - THE PEAK - KAILASH. 1. 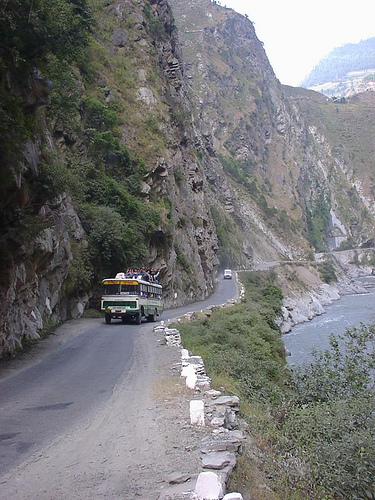 THE TRADITIONAL ROUTE - BHARMOUR - HADSAR - DHANCHO - SUNDARSI - GAURI KUND - AND THE MANIMAHESH LAKE . 2. BHARMOUR - HADSAR - KUGTI VILLAGE AND THE MANIMAHESH LAKE. BEING ORGANIZED BY THE DEVOTE OF LORD SHIVA..